Few could guess that the heroine of Weina Dai Randel’s debut novel, young Mei, would emerge into an illustrious future. Those unacquainted with the history should avoid googling, since Mei’s path to power is as unusual as it is fascinating to observe. Seven years later, after her father dies under mysterious circumstances, she and her family fall into penury and are forced to move to Chang’an, home of her half-brother, Qing, as well as Emperor Taizong’s glittering palace. By a stroke of luck, her late father’s wish for her is granted, and she’s given a place at the Emperor’s Inner Court as one of his concubines. She hopes to use her status to regain her family's fortunes. More familiar with Sun Tzu’s The Art of War than delicate embroidery or facial creams, Mei hardly fits in with her fellow maidens, but her acumen brings her to the attention of high-ranking courtiers – as well as enemies who hide their guile behind masks. The many setbacks she encounters, in her quest to become the Emperor’s Most Adored, test her resolve and give her the mental stamina she’ll need for the future. Far from a standard tale of royal intrigue, The Moon in the Palace provides entrance into a formal yet sumptuous world where the Emperor’s wardrobe is strictly regulated, his amorous pursuits are determined by the "court bedding schedule," and his many ladies are grouped into hierarchies – and Mei sits at the lowest tier. There’s also love story, though here, too, but Mei can hardly pursue a romance with Pheasant, a handsome young man who's good with horses, when she’s destined for the Emperor. Or can she? The story is an accessible and expertly plotted introduction to a powerful woman of ancient China, the country's first and only woman to rule as emperor. For those who want to continue Mei’s story, part two (The Empress of Bright Moon) is also newly available. 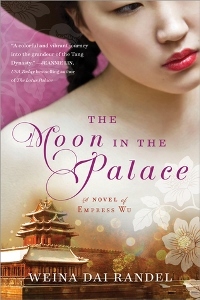 The Moon in the Palace was published by Sourcebooks in March ($14.99, trade pb, 400pp). Thanks to the publisher for sending me an ARC at my request last fall. Great review, Sarah. I particularly enjoyed this trip to a time and place that I know little about and agree it's a very accessible, enjoyable read. Thanks, Kate! I enjoyed reading your review as well. I'm looking forward to book 2 - I had preordered it after I finished this one. This one sounds great - thanks for the persuasive review! It was one of a few 5-star reads for me for the year! 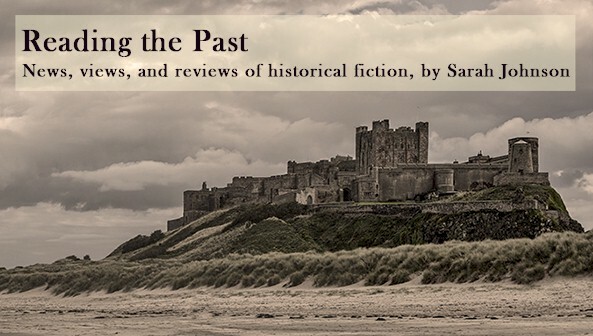 I remember when historical fiction was one of my main genres. I have been neglecting it!